Ephemera for Artst Trading Card, paper crafting, pocket letter, and more - products new home - *NEW Tim Holtz Idea-ology Halloween Ephemera 109 Pcs. 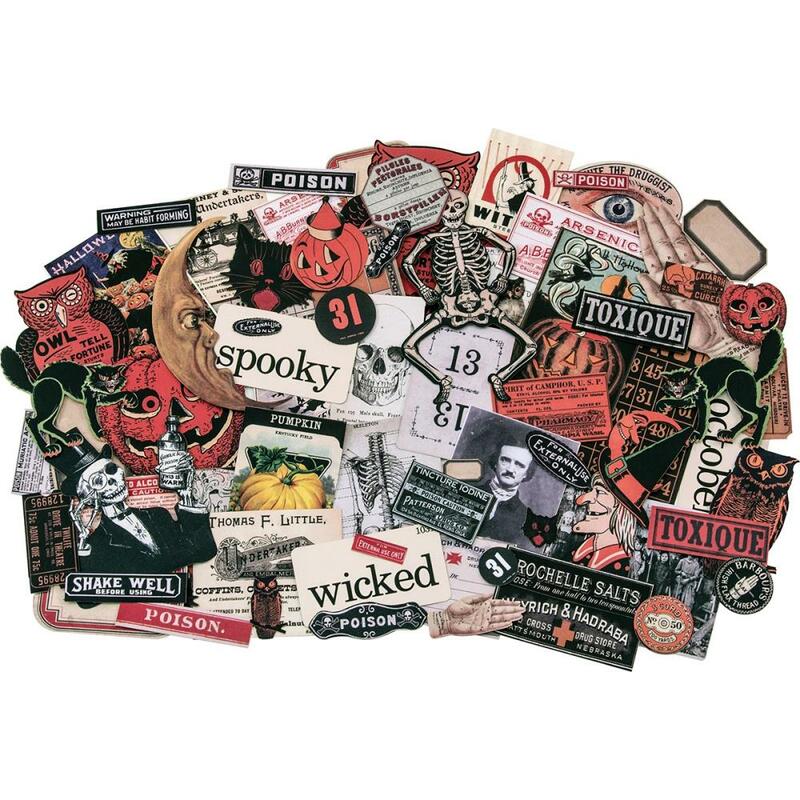 *NEW Tim Holtz Idea-ology Halloween Ephemera 109 Pcs. *NEW Tim Holtz Idea-ology Halloween Ephemera 109 Pcs. This is new for 2018 and are very hard to find! These are the Halloween ephemera pieces by Tim Holtz. Great for all of your Halloween paper crafting. You will find 109 ephemera die cut cardstock pieces in this package. An eclectic collection of printed memorabilia. Designs include vintage labels, cats, owls, moons, witches, skeletons, warning labels, thread labels, bingo cards, vintage portraits and more. The largest piece measures approximately 2.63" x 4.38". Currently viewing: Ephemera for Artst Trading Card, paper crafting, pocket letter, and more - products new home - *NEW Tim Holtz Idea-ology Halloween Ephemera 109 Pcs. *NEW Tim Holtz Idea-ology Chipboard Milk Caps 50/Pkg. Notify me of updates to *NEW Tim Holtz Idea-ology Halloween Ephemera 109 Pcs.